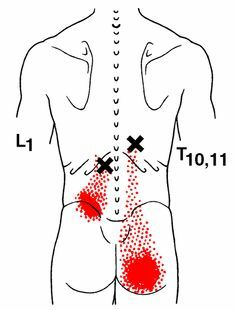 Trigger points are area’s of increased muscle tone and irritability (‘knots) that may cause localised pain or refer pain and contribute to low back symptoms. Research has shown that trigger points in the muscles of the hip and back contribute to pain symptoms of the lower back, and patients who had a greater number of active trigger points had higher intensities of pain and reduced sleep quality. 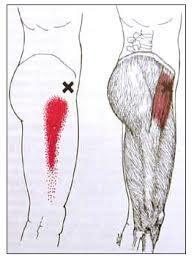 (1) For the low back, self massage of the glute medius/minimus and tensor fascia latae, quadratus lumborum (QL) and the erector spinae trigger point massage using a tennis ball or a lacrose ball is an effective way to help resolve stiff, achey and painful backs. Our Sydney chiropractor, remedial massage therapist and myotherapist (SLM) has prescribed these to many of his patients suffereing chronic low back pain with excellent results. Superficial heat may also be of benefit for acute and chronic low back pain (2), I recommend laying on a heat pack for 10-15 minutes on the affected area’s to help help improve circulation, decrease muscle tone and increase mobility. It’s generally just a matter of finding the trigger points as shown in these diagrams in this article using a ball and holding for roughly 30 seconds until any tenderness begins to dissipate, then move onto the next point you may want to keep coming back to the same area’s several times letting them rest and applying heat in between. These should never cause pain but more of a ‘good hurt’. I often recommended to these once every 1-3 days, depending on what works best for you. 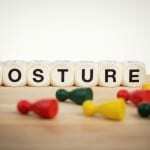 For some doing too often may irritate the problem, if your still feeling a tender form the self massage the day before leave it for the next day. Doing these before you go to bed will also help as it gives plenty of time for the muscles to settle down over night, as opposed to doing them at the beginning of the day and using the muscles immediately after treating them. At Sydney Chiropractic and Remedial Massage you get a comprehensive hands on treatment, you are also empowered with effective techniques and knowledge to take care of your own back pain & injury. 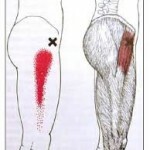 If you would like more information contact our Sydney chiropractor, myotherapist (SLM) and remedial massage therapist. 2. 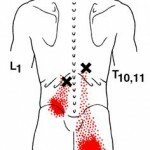 Chou R1, Huffman LH; Nonpharmacologic therapies for acute and chronic low back pain: a review of the evidence for an American Pain Society/American College of Physicians clinical practice guideline. Ann Intern Med. 2007 Oct 2;147(7):492-504.